As an Associate Broker and a seasoned professional, I can offer you unmatched service to market and sell your home, or to find the right neighborhood and new home for you amp; your family. 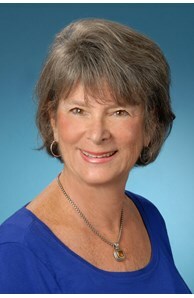 Susie Carpenter is a highly-accomplished Associate Real Estate Broker who has sold homes in Virginia since 1980, and been with Coldwell Banker for just as long. In her tenure in the ever-changing market, she has consistently received awards for her outstanding sales performance, with recognition as an NVAR Lifetime Top Producer, a 2016-2018 Top Agent in Washingtonian and Northern Virginia Magazines, a member of Coldwell Banker President’s Elite Club, and an Office Top Producer. What means the most to Susie is the satisfaction of her clients, who continually reward her with repeat and referral business. With over 38 years of experience in the Northern Virginia housing market, she is a true industry connoisseur and a valuable advocate for the wonderful people she represents. Susie knows how to navigate complex real estate transactions with great skill and savvy, and is committed to negotiating deals on her clients’ behalf with their best interest in mind. Her guidance is thorough, direct and attentive throughout the real estate process to inspire informed decisions. Born in Washington, DC and raised in Silver Spring, MD, Susie is a University of Maryland graduate and a former elementary school teacher in Montgomery County. She lived in Fairfax Station, VA for three decades until moving to her current home in Old Town, Alexandria. Susie and her husband, the owner of an award-winning custom home building and remodeling company, enjoy spending time with their two married sons, four grandchildren, and Standard Poodle Saylor. Sailing, boating and traveling are among their favorite hobbies.